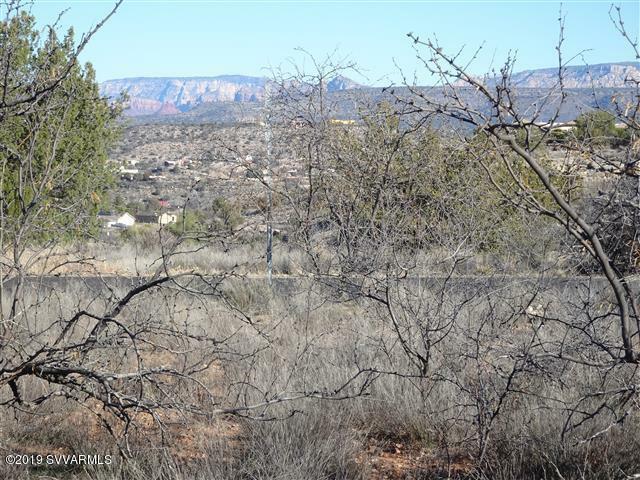 Great views of the Sedona Red Rocks from these two lots (lot 353 & 354) that are (offered together). The combined acreage is 0.32. Electric and water are close by. Zoned for site built homes only. Desirable location with hiking trails a few minutes away. Two lots offered together. (Lot 353 & 354) ADDRESS 4535 E GERONIMO RD (Parcel 405-03-356 (LOT 354) is 0.15 acres) & ADDRESS 4545 E GERONIMO RD. Parcel 405-03-355 (LOT 353) is 0.17 acres. Both together totaling 0.32 acres.